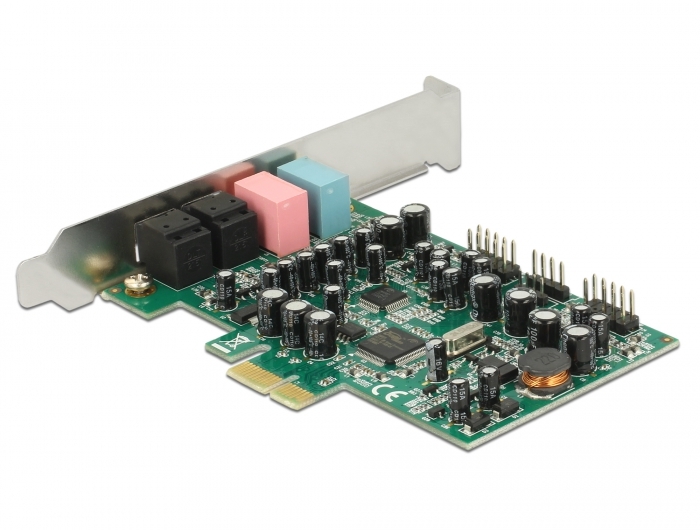 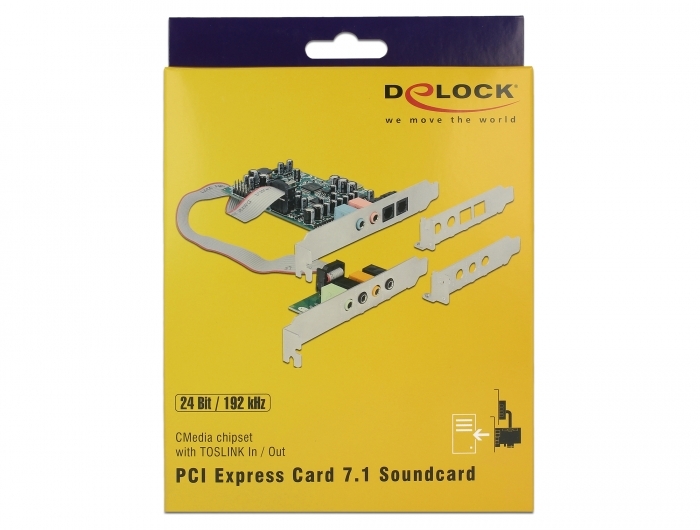 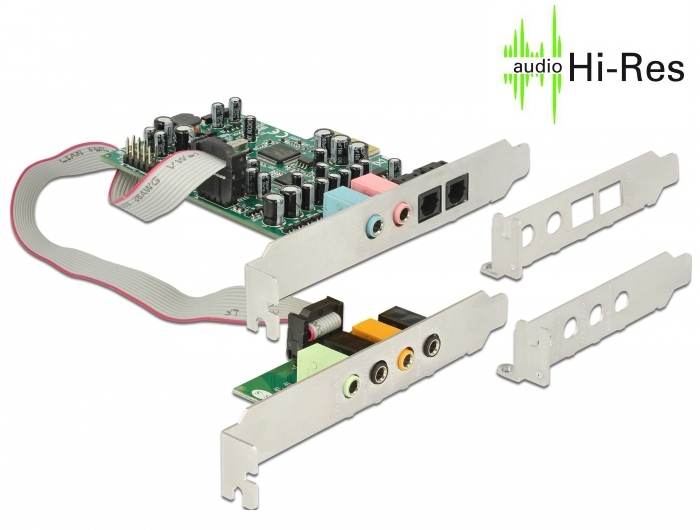 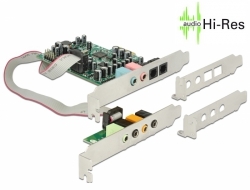 This PCI Express sound card by Delock extends the system with various sound inputs and outputs and has 8 sound channels. 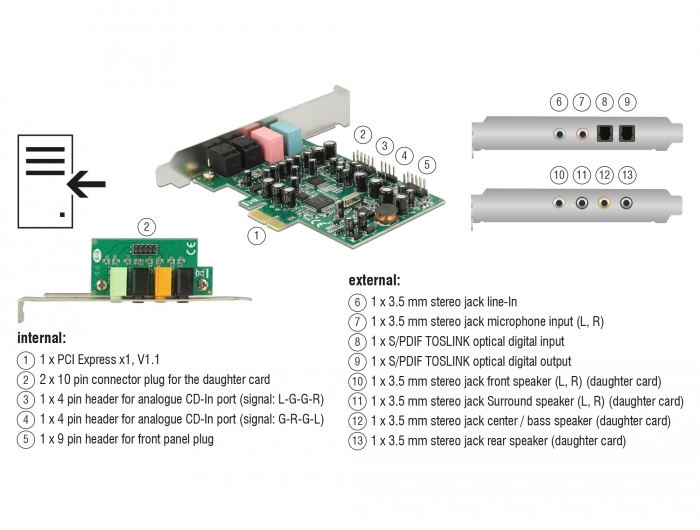 This allows devices such as speakers, headphones etc. to be connected. 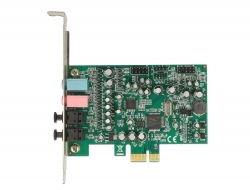 When used in conjunction with a headset, the sound card is ideal for applications such as Skype or gaming. 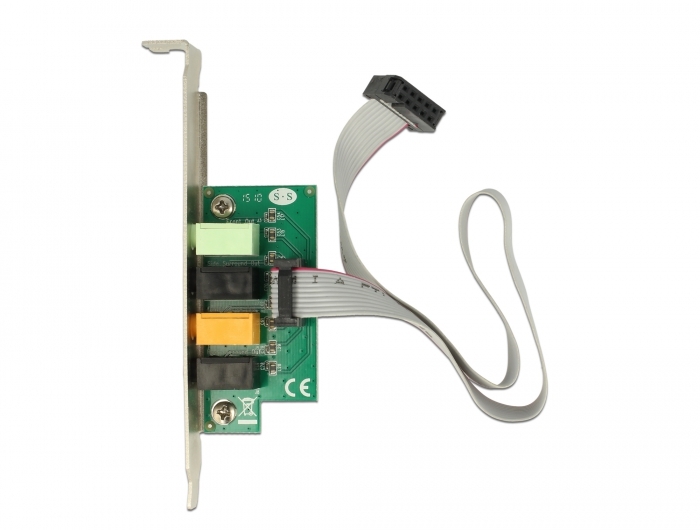 By using the included low profile brackets, the PCI Express card can be also installed into a Mini-PC.